124pp 4-colour offset paper-over-boards casebound 180 x 130. 1500 copies with Granary Books New York. ISBN 978 0 906630 41 9. Being the resolved book and catalogue of the exhibition at the Beinecke Library at Yale University from January to March 2010. 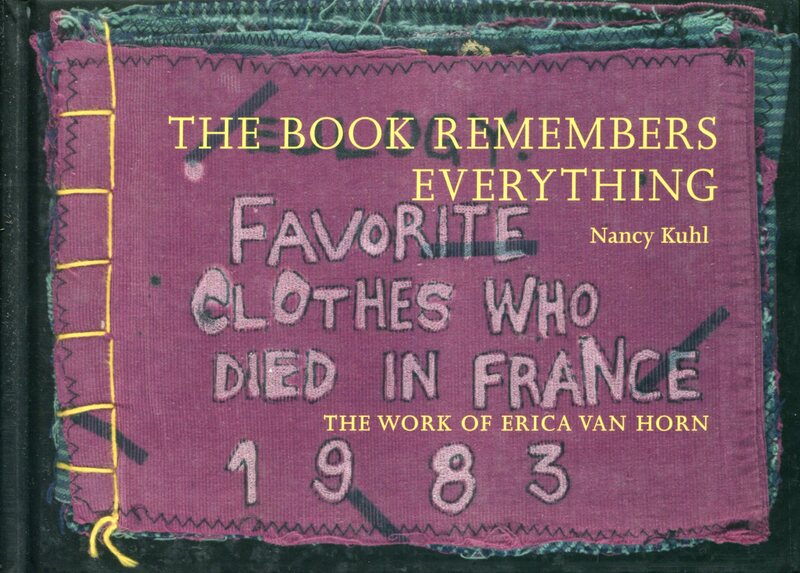 In the work of Erica Van Horn, books collect and transform remnants, remembrances, remainders and reminders. From fragments that might otherwise be forgotten, she makes new inventories and series in intrinsic yet unexpected ways. Nancy Kuhl is co-editor of Phylum Press and Curator of Poetry for the Yale Collection of American Literature at the Beinecke Rare Book and Manuscript Library at Yale University.